Dedicated exclusively to designing and manufacturing high quality Medical Air and Vacuum Systems for the healthcare industry. 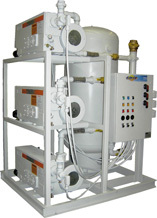 Our Medical Vacuum Systems are available in Duplex tank mounted, and Duplex, Triplex, and Quadruplex base mounted configurations. 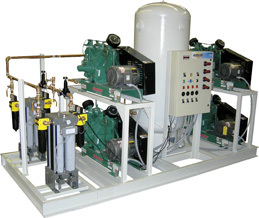 Our Laboratory & Instrument Air Systems are available in Duplex tank mounted, and Duplex, Triplex, and Quadruplex base mounted configurations. 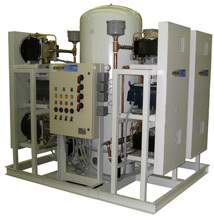 EMSE Corporation specializes in Medical Air and Vacuum systems for use in healthcare facilities. Our company has succeeded as a result of our dedication to product quality, product expertise, responsiveness and attentive technical support. 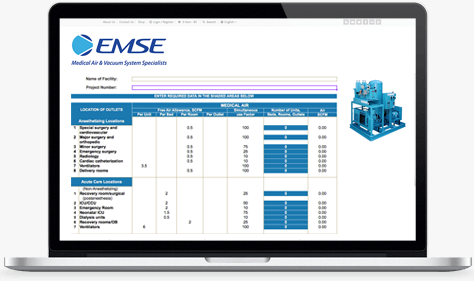 EMSE is unique because it offers the most comprehensive range of products and solutions that satisfy a wide range of applications and particular needs. We offer our equipment and provide our service through a wide network of national and international representatives and distributors. EMSE control systems, which are compliant with the latest NFPA 99 codes, feature PLC controls and optional touch screen HMI. Other options include the EMSE “Communicator” that features a vivid color touch screen HMI and ethernet connectivity with embedded web page.